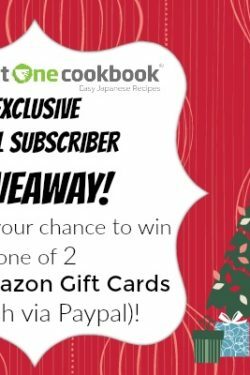 This month I’m giving away one (1) Instant Pot IP-DUO60 7-in-1 Multi-Functional Pressure Cooker (6QT/1000W) and the winner will also receive a copy of my e-Book, Just One Cookbook – Essential Japanese Recipes. If you live outside of the United States, you will receive $100 Amazon gift card or cash via Paypal. This giveaway closes on Wednesday, April 6, 2016 at 12 p.m. PST and is open to participants worldwide (everyone!). Congratulations, Damie (#561)! I’ll email you shortly. See you all at next month’s giveaway! I would love to see some fusion recipes! Love your blog! Thanks so much for sharing all your yummy recipes! Have you figured out the perfect melon pan recipe yet?? I’m dying to see what you conjure up this time ???? I’ve seen some recipes use actual melon extract for the cookie on top, but I don’t remember having the meron pan taste anything like melon when I was in Japan! It’s a cute addition to the sweetness I bet though! Hi can you share sous vibe duck breast recipe? Thanks! I also am already subscribed to all your accounts (YouTube, Facebook, Instagram, etc)! I continue to enjoy reading your blog and your recipes! I can’t wait to try more recipes from this site! Love them so much! Hello from a Finnish family living in the US. We all love Japanese food and your blog! Hello from Atlanta, GA. I want to say I love all of your recipes I’ve tried, I love Japanese food and discovering your website has taught me so much! Hi from Los Angeles, California! I’m currently in college and am minoring in Japanese Language. I was lucky enough to visit Japan 2 summers ago for 5 weeks and fell in love with it; it was everything I dreamed about and more! One of the food items that I’ve recently become very interested in is wagashi, especially nerikiri which I often see people form into amazing shapes. I would love to see your take on this and any ideas you may have for shaping them! I also am subscribed to/follow your Youtube, Facebook, and Instagram! I would dearly love to own this pressure cooker. I love your recipes and would also love to have your cookbook. I have truly enjoyed many of the recipes from your e-newletter ! Thank you also for your cheery attitude along with the great videos! Hi Nami! Keep up the good work! Love reading your receipes. I liked you Facebook and followed you on Instagram! I started following you on Instagram! It’s crazy with all the cooking I do that I don’t have a pressure cooker. This would be fun to learn to use and make dishes quicker than normal. I love your site and videos. Someday I believe you will be a good network star. ???? I’ve been enjoying your website & am sending it to my daughter. Her husband is in the Navy & they are stationed in Yokosuka. I think she’ll love it. Nice 🙂 can’t wait for more stuff !! Hello! Absolutely love ALL your recipes, videos and suggestions. I follow you on Facebook and Youtube and on your mailing list. We use your recipes regularly–even my kids! We miss Japanese food and hope to return to Japan, so you’re recipes keep us from being too homesick! Keep up the good work! I’ve just recently subscribed to your blog and am thoroughly enjoying your recipes and comments. Thank you for all you do! Hello. I enjoy your newslatters (specially loved the Japanese trip blog last year!) and trying out new recipes. Thank you for easy to follow instructions. I love your posts! I hope I can create food just as visually appealing and delicious like yours! Hi Nami! Just wanted to let you know that I tried your Pressure Cooker Curry and it was fantastic! It was delicious and easy, but we added a couple of handfuls of spinach into it to get some greens. Our pressure cooker did not have as much features as yours, so we had to improvise. Thank you again for the wonderful recipe! I have 2 new favorite dishes your salty chicken wings and the Bulgogi onigiazu. I ordered spices from seasons of spice. Love them. My husband loves the Bulgari so much that he eats it with Ramin noodles. Thank you for helping me be a better cook. I really appreciate having your website available as a reference, please keep it up! Thank you for sharing all your wonderful recipes!!! I am a new subscriber and look forward to your emails. It’s so fun hearing from you! Being a Japanese American who loves to cook, I’m especially interested in learning how to prepare traditional Japanese dishes. OK, I need this thing as the wife will not touch our Fagor Duo PC, I need something push button to get out of KP, as I am the one that has to use the stovetop PC. That, or she is just “working ” me with that story of “it scares her” as more and more “stuff” gets cooked in the PC.? Hmmmmm….. I left a comment, subscribed to your You Tube channel, and liked your Facebook page. Ps. I have subscribed! 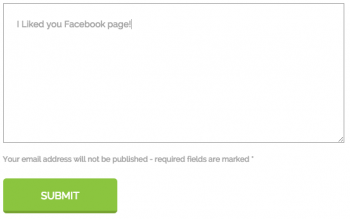 It was probably my best blog subscription experience (that doesn’t feel like a spam) ever! I would love to own the Instant Pot. I’ve heard such good things about it. Thank you for your blog. I look forward to all the new recipes and products you show us. Hello from Canada! I love how easy it is to recreate your recipes. And I have liked your Facebook page! I’ve been following you on Facebook and Instagram. Just signed up for your videos on YouTube. Great job! Hi! Happy spring – thanks for your recipes! I am one of your fb follower. I receive your Instagram postings! Love your blog. Your recipes are fabulous. Hi, I subscribed to Youtube and also Liked your FB page. That pressure cooker looks great. I like that it has a staineless steel pot. I returned one years ago that had a teflon pot for fear of the chemicals in it. I never did get one to replace it! Hi Nami! My husband recently really liked your recipe for korokke. We used ground chicken instead of ground beef. Next time I make it I will use a little more onion and add some garlic. I look forward to your blogs. Love your recipes, even if I don’t make them all. Thanks! I love your website because you seem so friendly and open, even though you mostly offer recipes and create excitement for Japanese food, you still share stories about you and your family. I discovered the green tea cookie recipe over two years ago and I still bake them regularly, thank you for introducing them to my life. Not only have my friends and family loved them, it’s melted away their fear of eating bright green cookies, and offered an opportunity for them to try green tea! Hi, I’ve been enjoying your recipes and do you have a Nishime recipe? hi Nami! I’m a housewife currently living here in VA for three years now. I just happen to come accross your blog while looking for a tonkatsu recipe and after that have been a frequent reader of yours. I’ve tried some of the recipes you had shared and also i got to try Kewpie Sesame Dressing and Bulldog Tonkatsu Sauce whick luckily is available in a store near our place. More power to you and keep on being an inspiration to home cooks like me. I somehow stumbled on to your site from Facebook and have been bookmarking all your recipes since! My favorite is the no fry katsu – who knew you could pan fry the bread crumbs, bake with it and it still maintains its crispiness! I am enjoying tea made with marmalade from your yuzu marmalade recipe. Yum! Thank you! Thanks for the giveaway!! I’ve seen some of your recipes using the instant pot and I really want to try but I don’t have pressure cooker. Thanks for all your recipes and pictures. I love your blog! Hello, thank you for this amazing giveaway, I’m crossing my fingers! Thanks for your instructive videos and creative recipes! I’m subscirebed to your Youtube channel. Hello, thanks for the chance. And finally I also like your Facebook page! I love your blog. I’m half Japanese in San Jose, Ca. I’m also a long time subscriber to your youtube channel! I´m subscribed to the JOC channel on YouTube (using gmail). I have already subscribed to your YouTube channel. Hello from San francisco, CA. I enjoy your recipes. Hi Nami! Keep up the great work 🙂 I thought you were looking so much more confident in your collab video with Tabe-eats. Well done! Hello, I already follow your instagram ???? I subscribed to your Facebook page! I’ve made the chicken adobo last night and it was a big hit, like all your others recipes. Thank you for all the wonderful recipes. We love your posts and recipes. I bought a Japanese musk melon to try few weeks ago. It looks like a rockmelon on the outside but green on the inside. It was deliciously sweet. Hi again, i just subscribed to your youtube channel. Thank you ???? belly? I worked out well. I’m from the Bay Area, but I’m currently living in southeastern Idaho, and special ingredients are a little tricky to come by. Any suggestions? Thank you for your generous giveaways! I am interested in trying the Mitarashi Dango- they sound delicious! I am really an avid fan of yours. I have tried some of your recipes because my family loves Japanese food. I would appreciate it very much if I am one of your lucky winner. Liked your Facebook page. Great photos. Hello! Thank you as always for your wonderful recipes. Love your recipes! Making your chicken teriyaki tonight! I love your video receipes, thank you! Your blog adds value to my life by giving me new recipes to try, getting me out of my same-old, same-old rut. I like that I can search by by ingredient for ideas on what to make with what I have on hand. I’m subscribed to your YouTube channel. Thanks! It was a bright day when I happened upon your website. Now I look forward to your recipes in my inbox! I’m an instagram follower @rusthawk1. I’m following you on Instagram. Thanks! I follow on facebook as Rose Schmidt. Hello from Ikego, Japan!! Love your recipes! Have made Kimchi Nabe and Curry and we have loved them!! Thank you so much!! I’m trying to learn how to make a microwave hishi mocha for Girls’ Day next year…the rolling out the mocha is difficult! I follow on youtube as rusthawk. Hi, I am Michelle Xu. I owned a authentic Japanese restaurant even though I am not a Japanese. My customers are 80% Japanese and 20% American. I tried a lot of your recipes for my daily lunch special and bento special. Most of my Japanese customers have a good feed back on our special. Your website is so helpful for a person like me who has to cook Japanese food but without Japanese culture background. I love all of your matcha green tea. Recipes, please keep it coming… Any flan recipe with matcha? Hi Nami, I have been following you for some time now. I find your recipes easy to follow and very yummy. Please consider me for the giveaway. You and Mr. JOC are so sweet to hold these giveaways! I very much enjoy your blog, and have learned much from you. Thank you so much for the education! Good news! I’ve already been following you on Instagram! I love your site!! Can you do more easy, simple dishes?? I thought that I was already following you on Facebook, but I guess I wasn’t, and now I am! Aloha! I have tried so many of your recipes so far, and they are all fabulous. I cannot wait to make more. I love your blog and always look forward to new recipes. Thank you! Thank you for easy to follow really recipes! I also follow you on YouTube and Twitter. #4 – I also follow you on Instagram, although I admit I am not much of an Instagram user. Hello! I’ve been loving your recipes, everything has been delicious! Thank you Nami for your delicious recipes! Hi, Nami. I am a fan of you. I have already subscribed your youtube, Instagram and facebook. Thanks for all wonderful recipes. Love, Peace and Eat. I really love all of the recipes that you have on here and have had so much fun making a lot of them. Do you have any other suggestions for breakfast, the shakes are great but was wondering if there where any others. Nami-you are my BFF in the kitchen!!! Hello from rainy Mobile, Alabama! I follow you on instagram! My user name is kosmosphere! Love the blog and hope I win! This is a great blog! I was deeply moved by the story about making something beautiful from the devastation in Fukushima and the anniversary of the March 11 earthquake. Keep up the good work! Blessings!!! Thank you so much for this blog! I’m sure it can be tough thinking of new recipes -” are the items found locally or acakiabke online?” But I just love reading not only the recipe to try but love your story accompaniments! They just paint a beautiful picture of culture and rich history, it really makes seeing the finished food pic much more interesting. Thus is hard work and I appreciate you educating me. Love your recipes and seeing your foodie posts! Hello, hello! Greetings from Canada! Really enjoying all of your recipes and reference your site often. Thank you for sharing! I’m following you on Instagram!! I really enjoy your travel notes! I am subscribed to your Youtube channel, I am Erika Chilton on Youtube. I’m following your Instagram (usename: livlaugheat) (ticket 4) …Thanks for all the great recipes, many have made their way into our family’s weekly dinner rotation! I liked your Facebook page, I am Erika Chilton on Facebook. Thanks for the chance in another competition! I love all your recipes, but I’m always keen for new fast and healthy Japanese cooking. Hi Nami! Thanks for all your great recipes! I know this isn’t a Japanese dish but I was wondering if you ever work with rice cake ovalettes, often used in Korean and sometimes Chinese dishes. My favorite dish is fried rice cake ovalettes with pork and pickled mustard greens, I think it’s Shanghai style. I always order it at The Noodle Shop on 25th Ave in San Mateo. Would love to hear what you think of the dish! I find the rice cakes hard to stir fry right – they get gummy really easily. I follow your Instagram, I am @echilt5 on Instagram. I’m enjoying your videos, lots of hard work is paying off. Well done. Love all your recipes they are so good ! Keep doing all those delicious food!! Thank You for your Japan travel guides. My husband and I love exploring Japan and your guides are so helpful. This is the most complete source for Japanese ( & beyond) recipes! The instructions combined with videos really show us subscribers your sincere concern to ensure complete understanding, even to the point of including the best places to find the necessary ingredients! Thank you! Nami and Mr. JOC, well done! We made the baked chicken katsu for a bento fundraiser recently and it was a big hit! I love your recipes I would love to have this pressure cooker. I always look forward to your recipes every time I receive them in the newsletter. Thank you for everything you do. I love your newsletter and recipes!! I also love your new kitchen!! So if I already have an Instant Pot, can I get the international gift instead? Assuming, of course, that I win. Hello from Calgary, Canada! I really enjoy your website. We lived in Japan a few years ago and sometimes I yearn to replicate those tastes again! I just subscribed to Youtube! Following instagram. Now crossing fingers! Hi. Hope your weekend is awesome ! Love from New Jersey! I became a member not too long along and after trying out some of your recipes I learned that my family does love me after all. It was just the same old meals I was preparing they didn’t love. Once I started offering dishes learned from your recipes I felt the love again! I love all your recipes and the easy access of where we can buy certain ingredients. Hey Nami! I fell in love with your blog after watching your tutorial on tamagoyaki. I’ve really been wanting to experiment with Japanese cuisine, so I’ve been looking through all your delicious recipes. I just subscribed to your youtube channel and liked your facebook page! Thank you for your steadfast work! I subscribe to your newsletter! 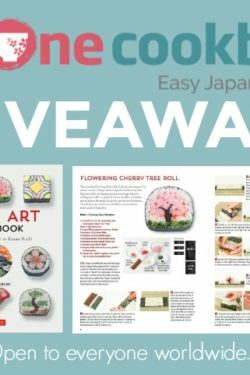 Already a newsletter subscriber & hope to win your March giveaway! would love to see your version of this. Sorry i don’t have a better way to show you. Hi…looking for a Senbei recipe ???? Since my son went to Japan for a holiday last year, he fell in love with the culture and the food. I subcribed to your newsletter to learn how to cook Japanese dishes and I look forward to using your detailed instructions. Everything looks so deliscious. AND easy to make. I can only hope to recreate the taste and smells he remembers of his trip to Tokyo and Kyoto. Thanks for the great recipes. I’ve tried lots of them and me and my wife Yuki have always enjoyed them. I’ll be trying some of your recipes as soon as summer gets here! The rice cookies look yummy! Hey Nami! 😉 love all of your recipes. My boys (5 & 3) absolutely love your salmon teriyaki. I’m a big hero when that dish is on the table 😉 thank you! And I’ve followed you on Instagram! 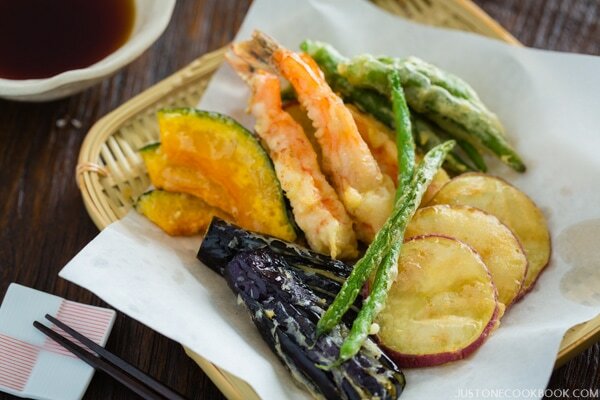 Thanks so much for providing us with easy to follow recipes for traditional Japanese foods! I miss all the yummy food from my Japan trip, but thanks to you, I can try my hand at making some of my favourites myself! Hello from the Space Coast in Cocoa, FL. I’ve been enjoying all your authentic Japanese recipes. Lived seven years in Aomori prefecture. What an awesome blog! Thank YOU ! Love your recipes! So easy and delicious! Thank you, Namiko! My family has been enjoying your recipes. Your Teba Shio chicken wings has been a hit at our recent get-togethers. I tried to make your nikuman, but something went wrong with the dough… don’t worry, I’ll try again! I love your newsletter.. I am new to Japanese cooking although I have traveled to Japan on three separate trips.. In my opinion, Japan is the easiest and most enjoyable place to visit. I would love to have an Instant Pot! Would like more vegetable recipes using easy to find in the grocery store vegetables., I’m trying to increase my veggie intake and I know that if you make it, it will taste good! Hi Nami, please keep up the good work. Hello, already subscribed to you youtube channel. Thanks. Love your different hot pots, more please…. Hi, I liked your Facebook page. Thanks. I tried the Green Tea Pudding a couple of times. I used kanten powder but it didn’t gel, either time. I am going to get gelatin sheets now. Otherwise, it was tasted great, only more like a milkshake not like a pudding! Hello! Love the recipes and following them for weekly meals! Hello!! Love your blog and recipes! I like all the step by step instructions and how a fancy dish can be cooked right at home ! Loved your recipe and the step by steps with pics really help to make things easier for me. Hi Nami! When I read your post about preparing Japanese-style curry in a pressure cooker, I thought, ‘What a good idea!’ So often I’ve wanted to fix a hot meal but because of time constraints I felt I couldn’t spend another two hours in the kitchen chopping, cooking, and then cleaning up.. A pressure cooker would really cut back on the cooking time. I have looked at regular stovetop pressure cookers but the electric one you used seems ideal. Thank you for your recipes and cooking tips! I enjoy using your recipes! Just subscribed to YouTube and it is going to make my left so much easier! I love all of your Japanese recipes. Thanks for sharing. Officially liking you on Facebook now! This is Japanese but me and my kids LOVE sesame balls you get at many Chinese buffets. Do you have a recipe for that? Thank you for all that you do. I love your blog! I meant this ISN’T Japanese since it’s a Chinese sesame ball. haha Though maybe Japan has something similar?? I love all of your recipes and instructions for cooking! Hello! Thanks for all the great recipes. Hello from Trinidad and Tobago, I really do enjoy your blog and you make the recipes easy to understand and so much fun to make. Don’t ever stop! I would love to see your post how to make japanese baumkuchen!!! Even though my mother is Japanese we grew up eating mostly American food. I look forward to seeing what yummy dish you will share next. Your clear instructions and videos make it so easy to try new dishes. Thank you! I like your Facebook – nice and brief recipe messages and telling what’s on your mind, like your trips or side activities or Nozomi project! Hello! I have enjoyed your reading your blog and making your recipes. Curry Doria is one of my favorites. You have shown recipes from other regions in Japan and other Asian cuisines. Would you please make a recipe from Okinawa, maybe? I am of Okinawan descent so it would be nice to see an Okinawan recipe. Thank you. I’m subscribed to your YouTube channel! I really like your videos as everyone can clearly see what’s happening and how to do it proficiently! I love your recipes and your short but precise videos are great. I am enjoying your email. They are very good recipes and easy to follow.What i reallllyyy love is that you offer both Korean AND Japanese recipes and my fave , American Chiffon Cake!! I get your recipes on Pinterest , YouTube and your website.. Thank you for all your awesome recipes . I have learned how to cook Japanese food because you make it seem so easy. I always thought cooking Japanese would be so complicated but it was easy thanks to your YouTube videos. (I’d like to learn how to make red bean ice cream please.) ???? So glad I found your site. Your recipes are so easy to understand/follow. Thank you for sharing them with us. Hello, I enjoy your recipes. I spent a lot of time in Japan and love the food there. Thanks for all these great opportunities for great stuff!! I love all your recipes! Hello: Iwhat a wonderful prize this month as I have been reading all about the benefits of a pressure cooker. I’ve enjoyed trying out your recipes. You’re doing a great job! Sure could use a pressure cooker! Thoroughly enjoy your recipes … I pass them on to my adult daughter who enjoys them too. Made Kimchee Nabe the other night…soo good. Thank you. Hello hello! I live in Japan and I love your recipes!!! So far every recipe I have tried is a success. That’s a tribute to his well written they are. Hello Nami! Thank you for all the wonderful recipes! im subscribed to your YouTube channel for months now! Good afternoon from sunny Mariposa, Another beautiful day in Yosemite. I am filling out my Nagomi Visit form for our upcoming visit to Japan! Thank you so much for letting your readers know about them :)! I recently found your blog and look forward to try your recipes and cook for my family. Thank you for this giveaway. I have started following you on Instagram, too :)! Hi Nami how are you? I love reading just one cookbook and the agedashi tofu recipe is amazing. Keep up the good work. I have subscribed your YouTube channel, Instagram and liked your Facebook page! I’ve been subscribing to your email newsletter since July 2015. I really love the recipes that you post. Your recipes reminds me of many of the foods I ate growing up in Japan (Natsukanashi na). I read your Castella recipe just recently and can’t wait to try it. By the way, would I be able to download your e-book to my Samsung tablet, or only to an Apple device? Keep posting your great recipes! Enjoy reading your recipes and the stories behind the recipes. After reading the recipes, I always watch the video to confirm my understanding of the preparation. Would love an instant pot to try some of your pressure cooker recipes. Have been too scared to use one before as I have my mom’s which is probably 60 years old! More instant pot recipes please!! I’m subscribed to your YouTube channel! Very easy to follow, which is what I look for in videos. Great job! Hi, thanks for your great recipes. I follow you on Facebook every day. So glad you have worldwide giveaways, thank you! Happy Easter. I’ve heard so many wonderful things about the Instant Pot, I’d love to win it. Arigato! I love all your recipes! The next one I’ll be trying is chicken curry, but so far I’ve already made tonkatsu (baked AND fried) as well as soboro don. Yum! I love your channel, could you make a childhood favorite that you always loved to eat. That brings back memories of Japan. Your recipes are so simple but delicious. They are amazing! ???????? I love your dessert and dinner recipes. So simple. I’m already a follower of yours on Instagram! I follow you on Instagram. Hoping to see more recipes with the cooker you have. Or if you can help me to not burn rice on the stove when I am trying to make steamed rice. I would love some ruffle tickets. 😉 Love you all and your recipes! Been on the fence about getting an electric pressure cooker..
How well do these double duty as a slow cooker? I am working on Shio kozi and am interested in recipes. Did you see the Bon appetite post on using kozi to marinate beef to approximate the flavor of dry aged beef. Interesting. Thanks for doing this giveaway! My fingers are crossed – I have been wanting to try your pressure cooker recipes! I subscribe to you on Youtube! Love your videos! Thank you for the wonderful recipes! I love Japanese food. I am relatively new to your blog but I enjoy your videos and recipes. I follow you on instagram! Love that you always comment on pics with your hashtag, so sweet! Thank you for your recent rice cracker recipe! I love arare but I am absolutely addicted to senbei and it holds such nostalgia for me. Although I try to avoid frying at home (its too messy) this might be a recipe I will try. Hi Namiko! Loving your blog as always. I went to a Japanese restaurant in Brooklyn recently and everyone in my party fell in love with the ikayaki there. Would love to see a recipe for that if you have one! I have looked up and used recipes from your site for traditional Japanese foods. I am a sansei and my 93 year old mother lives with me so I try to cook foods she remembers cooking. Hello, I am excited to win this month gift! I wish I can try on the pressure cooker. I want to use it to cook some of your recipes – let’s see, should try Oden! Hi, I am subscribed to your youtube channel. Your recipes are the best! Easy, too!!! Just subscribed to your You Tube channel! 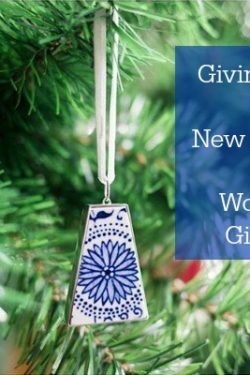 So excited about your giveaway! Thank you for taking the time to blog these wonderful recipes! I just subscribed to your youtube channel,fb and insta! Hi , love your blog . Can I have some healthy recipe for toddler please. Thank you. I enjoy receiving your email messages and trying out your recipes. The latest was a ground chicken recipe with shiso sauce. Delicious! Thank you for sharing. Thanks for all the recipes- love the variety. More kid’s bento box ideas, please…..
Hi Nami! Can you make a recipe for tonkotsu ramen? There’s a lot of tonkotsu recipe out there but I always feel that your recipes are the most reliable haha thanks Nami! I follow you on IG. I love the recipes!! 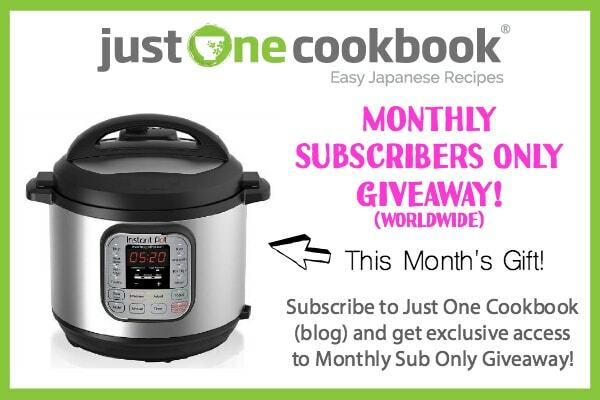 This is a great giveaway and I love every recipe I have tried! Hello from The Hague, The Netherlands. ^_^ Thank you for showing great step by step instructions for recipes from great Chinese cuisine, but also from anything you love to cook! Thanks for taking the time to collect these recipes. And please continue this passion. I look forward for more….. keep up the good work..
Love all the recipes you post and hope you’re having a great Spring! Keep up the great work! Hi, Nami! I am subscribed to your Youtube channel. 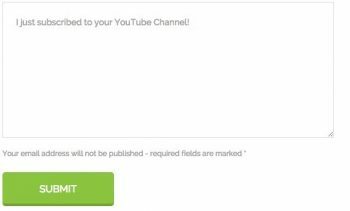 Am subscribed to your YouTube channel under my business email: [email protected] with I think the name should be (( ac )) andrea chun. I would like to request for a recipe for a fluffy thick pancake, the ones sold at Gram cafe in Osaka. Aaah, it was divine. Wonder if you have tried it before. Thank you. Love all your recipes ! Hi Nami! I have been following your Facebook channel with pleasure. Here’s my 3rd entry! I have already liked your FB page! Hi Nami! Thanks as always for your great blog and great giveaways! I am loving all the new features in your videos, they are really great. Also, your collaboration videos where you appear in them are great too! I think you do awesome and seem like a natural in front of the camera. Looking forward to more! Nami I’d love to see a Hokkaido soup curry recipe. I recently went to Japan for two weeks and loved the foods. Your recipes me feel like I am back there. I am an international students studying in the states. I often follow your recipes and make good foods for my housemates! Thanks for being such an awesome cook! Your recipe for Agedashi Tofu and Okonomyaki are my favourites !! This could really help me out when I start Japanese night. I love showing my family Japanese art and history and they are starting to love it themselves. With this I can start cooking meals and other things a tab bit faster haha thank you for your creativity in your cooking and taking the time to show step by step instructions your hard work truly pays off never stop please! Happy Easter! Time for some spring rolls? I followed your instagram some times ago! Enjoy reading your posts as always. Thank you for all your hard work! Hope all is well with you I’m subscribed to your YouTube channel. My daughter and I love the Bantu lunch box videos. Have a good night. Hi Nami! I follow your Instagram! Whoot! Love all your recipes. Keep posting. Btw, which brand of oven is good? Can u recommend one for my new kitchen? Thanks! I’m already subscribed/following all four options available. I hope that means I will get all four entries, I’m hopeful for this prize to give to my mother. I love your videos and recipes! I love your recipes! Thanks for sharing. I’ve already followed all your social media, Nami! I really love your recipes, they’re very easy to follow. Hello! keep up your great work! I follow you on Youtube, your videos are my favorite parts of your blog! I love this blog so much, keep up the awesome work! Hi.. I like your recipes..
Hi Nami! I’ve been an avid reader of your blog. Tried a lot of your recipes and love them. Please keep up with your amazing work! Read your blog and have tried many of your recipes. I love your recipes and always look forward to the new ones you introduce to us. Love your videos on YouTube since day 1. Appreciate your effort in continuously improving the videos! Love your Facebook page! Have been a long time follower of yours. I follow your Instagram! Appreciate your effort in hosting giveaways! Hi! Love your blog! Could we get a mandu recipe by any chance? Wow! What a great prize. Hoshii!! Thank you for showing us how to use the Instant Pot! Your recipes are amazing an most of them are staples in my home! It’s just me and my boyfriend right now and we both LOVE JOC! I follow your Instagram, and like you on Facebook! Thanks Nami! <3 please make Taco Rice if you haven't already! Aloha really enjoy all the recipes you provide…tried several like the vegetarian ramen delicious also enjoy your Facebook page with so many ideas and recipes..
Hi! Can you show a recipe for diabetics? Hi Janne, I hesitated before answering your comment but I decided I should. Diabetic people (me included) can eat anything it’s just a matter of quantity and eating balanced meals, so I don’t really understand what a “recipe for diabetics” is? I love your youtube videos. They are easy to follow. I can’t remember if it was through JOC or where I first heard about Instapot but now I’m super excited about it and it’s cooking capabilities! II have a gluten sensitivity and love tempura. I was wondering if you had a recipe for gluten free batter? I enjoy your recipes along with the videos. They are simple and oh so yummy. I’d love a hard copy of your cookbook. You are adding some interesting recipes. I love your website! I am going to make your castella for Easter! Thank you for all the simple and delicious and nutritious recipes. Itadakimasu! I appreciate your descriptions and recipes of food I had as a child. Unfortunately, I do not have any family members left to ask for recipes. I am glad I found you! I love all your recipes! I feel transformed in the kitchen! Hi, I’m from Singapore. Always so delighted looking at your recipe. Hope to have chance to win this fantastic giveaway .. Thank you! I’m already subscribed your YouTube channel ! I liked your Facebook page ! I have to say that we LOVE your delicious recipes! They are great for people with food allergies. They are so good that my husband is interested in cooking some of them himself! : ) It is hard to wait for your next email. LOL! Silly me, I always forget to say that I am already signed up for your posts, “like” your facebook page, and Pintrest too. Hello, Nami! Thanks for all your hard work to provide us readers with delightful recipes! I’d really love to see more deserts or snack food recipes. Maybe you could post a recipe on Amanattō or other sweets! I cant remember the last time I truly took an interest in a recipe site. I would normally just search for what I wanted and that was it. Nami is stellar at keeping my interest and coming up with mouth watering and easy to follow recipes. I always anticipate the next email and I’m never disappointed. Check her out. I know you’ll stay. I’ve liked your Facebook page, and I can’t wait to see more amazing recipes in the future. Recently I really enjoyed making the Creamy Roasted Cauliflower Soup, it turned out wonderful! I will definitely be making it again 🙂 Again thanks for your hard work! Hi I ma Janet. I love Japanese food and I love your blog. Thank you sharing the recepies with us. Cheers! Enjoy your recipes. Tried the Curry recipe, fantastis!! Hello ! Love your recipes ! 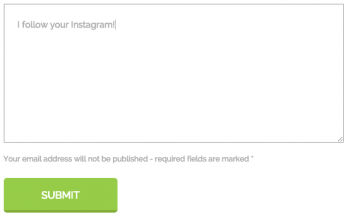 Tried to leave my comments, but the pininterest icon prevented me from typing & I didn’t want to join pininterest. I enjoy your recipes & always find them wonderful to follow & encouraging to try more! Love you Nami I am a fan! Hello from Sacramento California! I have enjoyed your site and it’s recipes for a while now and just wanted to say thanks. Your information is so amazingly organized and clear. The videos and photography are the best. Looking forward to more. Best to you and your family. Hello from Malaysia! I have already followed you on Instagram, and liked your Facebook page. I always look forward to your recipes. It’s great that you having such giveaway! Thank you! Hi Nami, love your rice cracker recipe on Facebook ! Like on your Facebook ! Subscribed to your YouTube channel . Ahhh! I love your giveaways!! I hope I win this time ???? I would really love to see the mille crepe cake recipe. It’s one of my favorites. Or a mister donut angel french…i miss those! You thought me a lot about Japanese food, that my family and I love so much! Hi… I like your recipes. I love how your recipes are easy and delicious. This week I have made your Broccolini recipe twice. My youngest son likes it a lot. So do I! Thank you for sharing all your wonderful recipes. they look tasty, but I’m not able to do them and it upsets me .___. Hi Nami! ???? i adore your blog!!! ???? im so happy i found your site.. Ive been craving for japanese foods these past few months and you just made me so happy.. You explained every step in detail and even give the food’s history.. What i love most is that you give choices or alternatives and even share how to make them, in particular, the sauces.. Your blog is very informative, you made cooking japanese foods so fun and easy! ???? thank you Nami for sharing all these to us! You’re part of our kitchen.. And we love it!!! ???????????? God bless.. I look forward to your dishes and what you’re going to cook next. I love trying new Japanese recipes and adding to my Japanese cookware collections! Your recipes and suggestions are the best! Thank you for hard work! Thanks for sharing so many delicious and original recipes of Japanese cuisine. Thanks to you I am relishing dishes that in my childhood were prepared by my mother and grandmother who immigrated from Japan to Brazil many decades ago. São Paulo city – Brazil. I love your site! Your explanations and demonstrations are very well done. You simplify the whole process. Your disposition is welcoming and encouraging. I think a post on “tips and tricks” for certain techniques and methods would be a great post! I love your recipes! They are easy to follow and always turn out to be delicious! I host Japanese students each year and this site is great as I can intro duce my kids to their dishes. HI! I’m so glad that I can make all these wonderful Japanese recipes now using your website! I love your recipes! They are easy to follow and always turn out to be super delicious! Hi! You remain one of my all-time fave food bloggers! I’m already subscribed to your youtube channel, and I follow you on pinterest too. Hello Nami, thanks for all the wonderful recipes & giveaways!! Hi Nami! Thank you for arranging the giveaway! I really enjoy reading your blog and trying new recipes! Thank you!! Your recipes are new to me and interesting. Hi Nami, I love your blog! Love your blog! Hope to win, to try out the your pressure cooker recipe for curry chicken! Love making ramen eggs and teriyaki chicken, and most recently, hope to make the fried mochi crackers. I follow your Instagram as well! I look forward to your recipes and your videos give precise directions and are fun to watch. Do you have a recipe for umeboshi? My mother just passed away last year and so I found your blog to learn some recipes that she used to make as well as treats that I miss eating. Love the Dango recipes and will be trying your castella soon (too expensive to buy castella now). Now only if I can make Hiyoko I will have all my favorite luxury treats! Arigato for all the recipes from home! Hi! Thanks so much for all of the recipes and info you bring us 🙂 And winning the instant pot would be AMAZING!!! Thank you for your very usefull recipes. It is great fun to follow them. I love your website! It’s been super helpful as I love Japanese recipes. Liked, followed, and subscribed everywhere! The sound work in your latest videos is really great. Makes everything so much more tantalizing. I never knew it was so easy to make rice crackers. My only problem is that there is never any leftover rice cake. ???? Thanks for the info! Hi hi~ I’m Kida from Canada! I really like the layout of your blog! I have some disabilities that make it hard to read blocks of text and certain fonts, but your recipes are really easy to read! I enjoy them a lot, I don’t cook as much as I used to, but your posts arealso just fun to read, and informative. The little blurbs about culture and history are my favourite! Also, your videos never have flashing lights or loud noises, so I really appreciate that. I would love to see a post about tonkotsu some time! Love from Canada! I make my daughter’s bento so I’d appreciate it if you could also include some easy recipes that are kid-friendly. Thanks so much for being such a fabulous chef/cook!! Hi from Vancouver, BC! We love Japanese food here!! Love your salted salmon recipe! It was very good. Thank you very much. I’m finally cooking nabe tomorrow! Yay! Hi! I love reading your recipes and your blog in general. Thanks! I like your fb page. Thank you! I’m subscribed to your youtube channel as A Bilingual Baby. Aloha! I am now following you on instagram, subscribed to your YouTube channel and “liked you on facebook! What took me so long!?! Appreciate your recipes! I always make your recipes and I would like so much to buy a pressure cooker for make your dishes! I really enjoy your blog and watching your you tube videos. Was wondering if you can provide a recipe on Japanese style spaghetti? Thanks! Hi Nami, I really enjoy your website and the recipes you’ve shared. ( something ” do-able”) for me. Wish they sold that ” instant pot ” in Tokyo …. Thanks! Hi Nami, I really enjoy your website and the recipes you’ve shared. ( something ” do-able”) for me. Wish they sold that ” instant pot ” in Tokyo as it seems to really make cooking easier…Thanks! I also just “liked” your FB page! Wish they sold that ” instant pot ” in Tokyo as it seems to really make cooking easier…Thanks! Hi, always enjoy reading your posts. hope to win this pot! Love your blog, and so do my kids. we tries to make almost every recipe. Have been subscribing to your YouTube, enjoy watching the videos. Hi! I love your blog! I’ve tried several of your recipes and they are amazing! I would like to see a seafood ramen recipe and one for chahan, please. Great giveaway! Already a follower at Facebook. I love your blog and have been following you for years. I enjoy reading about your travels to Japan, too. I subscribe to your You Tube Channel. . . . and enjoy your videos! I love all your recipes!!!!!!!!!!! Hi, thank you for all you great and easy to understand recipes. But could you help me out? I anko but I think I over cooked them in the last stage cause it’s kind of dry….is there a way to save my batch? Subscribe to your Youtube channel!!!! I am already following you on YouTube since it’s such a great place to learn. I don’t know if you already done it, but could you give us a great recipe on chicken ramen or just chicken soup? I think I did follow you on Facebook but find it better to ask questions here. So, I have a massive sweet tooth, do you have any good recipes for Mellon pan? Love the sweet Japanese curry, but people tell me I should just by the finished curry in the stores, only problem is that the stores around here are closing down….live in Norway, it’s had to Asian stores to survive in the city center. So, is it possible to make on you own? And what about other curry snacks recipes, do you have any good once? Love your competitions as always. And totally planning on trying out the new gluten free tempura batter you posted. Thanks for that…. Always been following you on all your social media channels. All of the above is already done. Yay! I love all your recipes, but I recently tried the Hiroshima Style Okonomiyaki and it was amazing! The recipe was very easy to follow. I lived in Yokohama Japan for 10 years when I was a child and love everything Japanese! I can’t tell you how much I enjoy your blog and recipes. Thank you so much for sharing. Hello! Thank you so much for all your great recipes and guides! It would be very nice to see more vegetable and tofu recipes, or even more wagashi recipes! Hi Nami, I made the curry the other day in my pressure cooker and everyone loved it. My son who was a chef at Nobu Perth said it was exactly like the curry they used to make for staffies. I followed your recipe for the spice mix as I could not find the boxes here in Australia. I will definitely be adding this recipe to my collection. I have fallen in love with H-Mart because I can get all the ingredients you feature in your recipes in one location. Keep posted, I’m cooking! Hello! Thanks for posting amazing recipes! I would like to see more recipes that are quick and easy, and good for lunch or time crunch! I really enjoy your blogs and newsletters. I also subscribe to your UTube. I recently tried one of your Denabe recipe and it was fabulous. Keep sharing. I’ve been loving all your recipes and I am dying to own a pressure cooker so I can try out all the pressure cooker recipes! Looking forward to making my own rice crackers. Hi, I’ve been enjoying your website. My wife is waiting for me to start cooking Japanese, so she doesn’t have to do it. HA. I love the attention to detail in the recipes and your stories about your family! As a beginner, you have really inspired me to cook better. Your recipes and tutorials are truly amazing. I wish you more success in everything. Hello from Tucson, Arizona. I enjoy your blog and love your recipes. Hi Nami, I just want to thank you for all wonderful recipes you share. Great recipes!!! Very easy to understand and actually see product ingredients that I may not be so familiar with. I really like the pressure cooker recipes! You inspire me to cook real Japanese food with all your posts. Domo!! I subscribe to you YouTube channel. Beautifully remodeled kitchen! Hello from Bordeaux, France ! I love your website, it brings me back to Japan !! Hello Nami! Back again to try my luck! I’ve been a Facebook friend for a while. I’ve also been a YouTube subscriber for a while. Instagram is new though. Got you there now too! Being of western European descent, I’ve been accused (jokingly) of marrying a Japanese woman 29 years ago for the food. Well, she doesn’t enjoy cooking and wasn’t raised with the traditional handing-down of cooking skills by her mother. Discovering your blog several years ago has really helped me round out our family’s ability to enjoy homemade Japanese cuisine in our home. I’ve also learned a lot about blogging from watching your development, which is a side benefit. You do a great job with Just One Cookbook! Congratulations and please keep going! Thanks for the the delicious recipes and for Mr. JOC’s nice photos. Thanks for allowing him to always upgrade his cameras and photography accessories ! I forward some of your recipes to my wife and she will try them as she is always looking for new recipes to try. Can you post how you would make Agedashi Mochi? That’s one of her favorite dishes at our local neighborhood izakaya in Orange County-Echizen. Hi, Nami. I’m just saying hello since I am already subscribed to everything you have. I love your recipes. I made the コロッケて for my Japanese class and they were a hit. Thank you for doing this give away. It’s really cool f you to do this for your followers. I am a email subscriber who along with my wife Carol enjoy trying your recipes. My taste for Japanese food came from a year tour of duty in the U.S.M.C. on the island of Okinawa Japan in 1977. Yaka-soba, l’m not sure that I spelled that right has been a favorite of my family for years. Your recipe has brought it to a new level of enjoyment. My version was just from memory. I love your vedio! Nice and clean steps! I followed your chiffon cake recipe and it came out pretty tasty! Thank you for your great videos and oishii recipes. Happy Easter! Hello from Boston, MA! Thank you for all of the lovely recipes! I have never prepared anything with a pressure cooker. This product would make it easy to try. accidently found your video from youtube was the best thing in these couple of days ! your video, blog are great but the only tiny thing which used to confuse me is what part of meat should i buy from market? since i know it will cause different result if i used the wrong part of meat to cook a dish, and i really don’t want your great recipes ruining by the taste. if it could be more precisely to indicate the point would be perfect!! Thank you^^ ! You are my go-to for any authentic Japanese recipes. Thank you for making so much available. I am always looking forward to what you will be showing us next! Already a subscriber of your youtube channel, love having the video guides as well! Thanks! What a great giveaway. I am a huge fan of pressure cooking. Keep more recipes coming! Liked you on Facebook! Want to make your shoyu ramen next! You are my favorite go-to girl for all Japanese recipes, and I love to read about your family’s adventures. When my husband sits down to eat, he always asks me “is this a Nami recipe?” We’re going to Sapporo soon to visit my husband’s family, and I have researched some of the places you recommend to visit while we are there. Thank you so much for being there for all of us! OXO! I love your recipes, and regularly refer to them when attempting to recreate my mother’s Japanese meals! subscribed on YouTube! Guess I didn’t think to do it sooner…! I’m your Youtube channel subscriber. I subscribed to your Youtube channel. How come I didn’t do that long before??? I followed your Instagram. First thing: gluten free tempura?!! Oh baby. I liked your Facebook page. Thanks not just for the great recipes and explaining Japanese cuisine, but also for so many excellent food preparation techniques. I wish to be a master like you someday! Love your recipes. I have already liked your Facebook page and I have now subscribed to your YouTube channel as well as following you on Instagram. I am loving your collaboration with other Youtube chef. Look forward to more of it. exciting! im looking forward to more recipes! can you do somen salad?? I subscribed to your youtube chanel and liked your Facebook page. I don’t have any wishes. You just make awesome recipes. Thanks for this. I follow you on youtube! Each video is precious! Thank you! I follow you on instagram! Great pictures with all the news about the recipes and the channel! Super cute! Love your Facebook and email updates. I have used a few of your recipes and am excited to try your sembei recipe- I bought a mochi maker this past year and happy to see I can do more with it then just make mochi. Also have checked out your you tube videos. Very good. I subscribe to your YouTube channel!!! mmmm! Can you do more bento recipes? Especially on how to keep the food fresh? Following you on youtube!!! Always excited to see your videos!!! Love your easy to follow recipes! I have only recently started following your recipe blog, and have tried just a couple of recipes so far. I’m going to Japan in the summer, and I was wondering if you knew anything about Gujo Hachiman – it’s in the same sort of area as Kanazawa and Tomayama. Hello from the desert side of Washington State! Hello, I really like the design of your website and I love your recipes. They are easy to understand and I really appreciate all of your step by step pictures. They encourage me to try out many new recipes. PS: I don’t have Instagram but I liked your facebook page and subscribed to your YouTube channel. I’m really glad we found your website!!. I love your blog and have learned so much from your step by step pictures and videos! My family loves all of your recipes that I’ve tried! We live in Arizona and it is sometimes difficult to find ingredients but we manageI finally learned how to make mochii….. Awesome recipes! You’ve often reminded me of dishes from my exchange student days almost a decade ago. Keep up the great work. Thank you for sharing your recipes with us it’s always fun to see what recipe will be next. I also follow you on instagram. You are truly an inspiration! Than you for sharing your great talents. I subscribed to your YouTube channel. Thanks so much. This pressure cooker looks terrific! What a great giveaway prize! Love all your recipes and videos! I love reading your recipes and watching your videos! I wonder if you have a good recipe for basic ponzu? I try not to buy the store version of things I can make at home without all the unhealthy additives. Hi, I’m loving your recipes. My family is Japanese, but my mom doesn’t like cooking that much, so I didn’t grow up learning how to make too much the food of my heritage that I love so much! Glad I found your blog! I am also subscribed to your youtube channel! I love being able to watch some of the recipes get made, visual aids are so helpful! And just “liked” your page on Facebook! And just started following Instagram. Can’t wait to continue trying your recipes in the future! Hi, love your blog. Was wondering if you can share a recipe for Japanese cheese cake. would love one of these instant pots, and also thank you so much for your new gf tempura recipe! Your ramen recipes got me involved in other Japanese recipes. I enjoy your site very much. Hello from Canada. I am subscribed to your You Tube channel. I enjoy your recipes, they are simple and easy to follow! Thank you very much! Love your recipes & the beautiful photos of the food! Hi Nami, I really like your kakimochi post. It reminds me of a similar crackers from Indonesia called Rengginang. I have subscribed to your Youtube channel!!!! Hello! 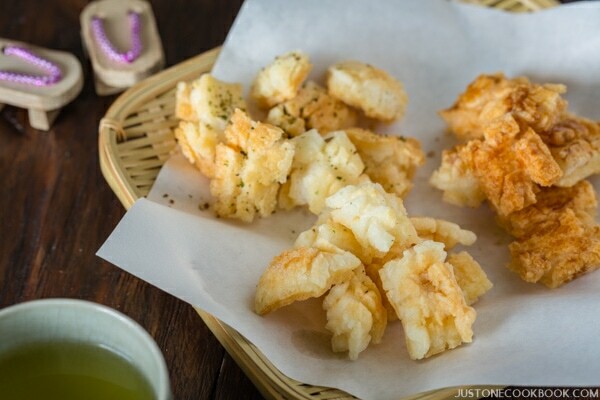 I love your blog, and I am looking forward to trying out that new tempura recipe! Just wanted to say hello, and that your recipes are as amazing as always ^^ love seeing your beautifully photographed creations, and they’re always inspiring when I’m thinking of what to make myself. Hi, I really want to give your pressure cooker curry a try. I haven’t had Japanese style curry in ages and miss it. I am already subscribed to your youtube channel. I look forward to watching each new one. Hi Nami! Love your blog! Your presentation makes it look like it’s easy to cook Japanese dishes. Thank you for sharing your recipes. More power to you! I love your recipes and look forward to each email. Hi Nami! Thanks again for doing all these giveaways and of course for all your amazing recipes as well! I am so thankful that I found your website. Your recipe has been foolproof and I am learning to cook the real taste of Japan! Hey Nami! I love your recipes, they are so easy to follow, and edit at my own discretion (or rather my fridge). Do you think you have any Japanese followers? Love your recipes and waiting for more. 🙂 Greetings from Germany. Hi Nami! Thank you for all the recipes you share, I am now in Japan to work and enjoying cooking local food following your recipes! Nami-san, I am so glad to have discovered your website and blog. I lived in Japan during my high school years and recently have started trying to cook at least one Japanese meal a week for me and my husband. Slowly I am building up my Japanese pantry and I even ordered a donabe from Japan. What I like most about your recipes is that there are so many of the traditional dishes, not just fancy, gourmet, Asian-fusion dishes. (Tonight we are having oyakodonburi.) And the step by step pictures with instructions are extremely helpful. Some cutting techniques for example are new to me so the pictures help a lot. Thank you!! I love reading your blog! I would love to see some healthy bento recipes! Thank you for sharing your wonderful videos and recipes! Hi from Brazil, i love your récipes!!! Thank you for sharing then with us!!! Your Just One Cookbook is just awesome, I really enjoy it. My two girls and I love Japanese food. They were born in Japan and grew up in Vancouver, Canada. I am running a Japanese Food Program in a community center. Your book is really helpful and instructional! I love it. Thanks a lot! I’d really like to learn the difference between “dark”, “light” and other soy sauces. What is Kikkoman’s “normal” soy sauce considered. Love the blog! Thanks for the great giveaway! Would love to see more Instant Pot recipes to try out. I love your blog and all your beautiful pictures!! Ticket 1: I am just loving the recipes you share. I’ve become very interested in Japanese cooking, and now am widening my interests to include other cultures. With my daughter and I doing Meatless Monday (and sometimes another day or two during the week), I’m especially interested in vegan and vegetarian dishes from various cultures. Ticket 2: I’m already subscribed to your YouTube channel. Ticket 3: I like your Facebook page. Love your website, Nami! Your work is beautiful and inspiring. We enjoyed your Mille-Feuille Nabe again…my daughter requested it for her birthday! Thank you for creating amazing recipes! I love the variety of recipes you present! I am enjoying the recipes in email and on facebook. Thanks for taking the time to show each step! Thank you for your monthly giveaways, and for all your hard work pulling together the videos! I would like more recipes using the instant pot. Thank you for your wonderful blog. My kids miss Japan and their favorite foods. You are always my go to gal for their favorite dishes that i can finally make at home. Im the only one in our household who has serious seafood and shell fish allergies. Thank you and Happy Easter???????? Thank you for all the wonderful recipes you have been providing so far. Please keep them coming. Hi! I’m from Indonesia. I’ve tried your curry and taiyaki recipes. Will try another recipes. Thank you! I subscribed your Youtube channel and we (me and my daughter) love to watch your videos. I like the way u present your recipes in your facebook page. Good job ???? Hello from Singapore 🙂 I love your recipes.. they are an inspiration. I would like to ask you to share the wrapping technic for Gunkan sushi. I love your blog. Thanks for sharing your recipes! I subscribed your youtube channel ages ago. I liked your FB page but I don’t have Instagram. Hey Nami!! Hope you and you’re family are doing fine ( ´∀｀) I recently bought cooking sake so I’m excited to make more Japanese dishes!! I also follow you on instagram- I love the pictures. I do foodphotography myself as well. I really like your blog. Thank you for the opportunity. Hello from upstate New York! Thanks for sharing so many delicious recipes! Hello Nami! I’ve been a fan for a few years now. I love your recipes as it helps me satisfy my Japanese food cravings when I’m studying in UK. Thank you for putting so much work in your videos and posts!! I love all your recipes. I already made several. Greets from Hasselt, Belgium. Really enjoying the site a recipes. Hiya! Ive done all 4 of the above already! Looking forward to this new give-away again! I’ve liked and followed your FB page too. I love your step-by-step approach that includes pictures of every step! Hello! I use your Just One cookbook all the time. I would like to request a tempura ice cream recipe please! Your videos and recipe are very much appreciated! I subscribed to your YouTube video. I have perused and used your website for a long time now and just recently became a follower on Instagram (I was surprised and happy that you replied to my comment, and quickly too! ), and subscribed to your email newsletter as well. I’m a Yonsei Japanese American and have lived in So. Cal all my life. I’m a big fan for many reasons. I love easy to cook (real) Japanese food, and your recipes are a perfect fit. You’re concise, your measurements are not primarily metric (as with most other Japanese food recipes) which saves me conversion time, and your pictures are beautiful and mouth watering. A favorite recipe is Teriyaki Chicken meatballs because of the addition of tofu, and because my young son enjoys them for dinner and in his obento with brown rice. I can’t wait to try your kakimochi recipe, I never thought of trying to make it on my own. Also, on my ‘to try’ list is bulgogi onigirazu, (one of many long time favorite foods paired with my latest obsession). I could browse your recipes forever 🙂 Off topic, I have a cousin that lives in Yokohama as well as a good friend. You’ve come a long way in 5 short years, keep up the great work and wishing you continued success. Thanks for the good eats!! I like your posts and your recipes, especially when you explain the origin of the dish and the meaning of the names, it’s very interesting and informative! Thank you very much! I volunteered to give dinner to a sick friend and really wanted to do something Japanese (I’m a big fan of the culture and everything in between). I googled some easy recipes that even those not used to the food would also enjoy and your website came up 1st. All the beautiful images, back story on the dish as well as detailed instructions really sets your website apart from all the other cheap looking cooking websites. I have mastered the stir-fry dish I read somewhere else years ago and am really looking forward to making something else for a change. Hello and thanks for this giveaway! I follow you on all these social media platforms. Hope to win. Happy spring, Namiko! 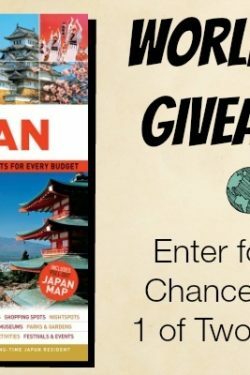 I would like to see a ranking of your top “go-to” Japanese markets/restaurants in the Bay Area! Hello!!! 😀 Love the site. It would be nice if you could go back and post videos for the older recipes. I absolutely love the videos and they really help me when I am trying a new recipie for the first time. Thanks for sharing all these great recipes! You are great at cooking!! Greetings from Texas! I love the recipes I find on here and thank you once again for posting them for all of us to see and learn from! I recently saw a YouTube video where you used the instant pot and I do say, it was pretty cool! I subscribed to your channel shortly after watching! I already follow your instagram and enjoy your pics! I have been a subscriber for a very long time now and I love all your recipes! I love your recipes, and the way you made Japanese cooking accessible to all of us around the world. My daughter especially loves your salmon recipes! Thank you for sharing them! Hello Nami – love your blog! I will be trying your Mille-Feuille Nabe recipe very soon, I can’t wait to taste it! You are very talented and I enjoy your recipes very much. They’re excellent! And the photos are beautiful! Keep up the great work! Thank you! The recipes send me back 20 years to my time in Yamanashi. I love your website! Thanks for all the delicious recipes! Hello from Venezuela! Your recepies are delicious! Just subscribed to your YouTube channel???? I love reading your recipes and whenever time permits, trying them out. I must admit, some of them are more advanced than others… but others are easy to follow. Your pictures always make me drool and crave for Japanese food! Always enjoy your recipes. Can I request more Japanese style pasta please? I already followed you on Instagram. Hi Nami San, I have been following your recipes closely and my family really loves them! They are healthy and easy to prepare! Thank you for being such an inspiration! My boyfriend just moved to Tokyo so I am taking a special interest in Japanese cooking. I found you when I googled “Soba Noodles” – something he loves to eat especially cold. Originally I’m from Washington DC and would love to go back now to see the cherry blossoms in bloom. Thanks for your latest cherry blossom recipe. Looks wonderful! I’ve been lusting after an Instant Pot but it’s not in my budget right now – would love one!! Thanks for this awesome giveaway! Hi Namiko, do you have a Hokkaido baked cheese tart recipe (like BAKE)? I subscribe to your Youtube – I love your videos, they’re amazing! I follow your Instagram,. Thanks for sharing your recipes. I started to follow you on Instagram!! Hi! I hope you had a lovely Easter with your family. I am typing this as quickly as I can before the wireless connection gets cut off by my laptop. I absolutely love your recipes and easy to follow directions. I’m saving them all and will try them out! Hello. I love your blog! Thank you for making Japanese cooking accessible to all. I love your recipes and the beautiful step-by-step photos that accompany it. I have tried out several recipes and they have all been great! Thank you! I am a follower on your Instagram. Your Japanese recipes are amazing. Thank you! Please write a shishito pepper recipe. Hi, I will only have one chance as I don’t tweet, facebook, instagram, So hopefully I’ll win this and can use it to try your recipes. They are great and I love checking out you videos and youtube. Keep up the good work! I am so glad that I found your blog, I love the recipes! I love your recipes, especially the pressure cooker ones! Your videos are well made, and easy to reference when I’m cooking. I’d like to say that me and my girlfriend love your blog! Your recipes are so great. We’re students from Germany and love to try some Japanese/Asian recipes. I tried your sukiyaki recipe the other day… was awesome!